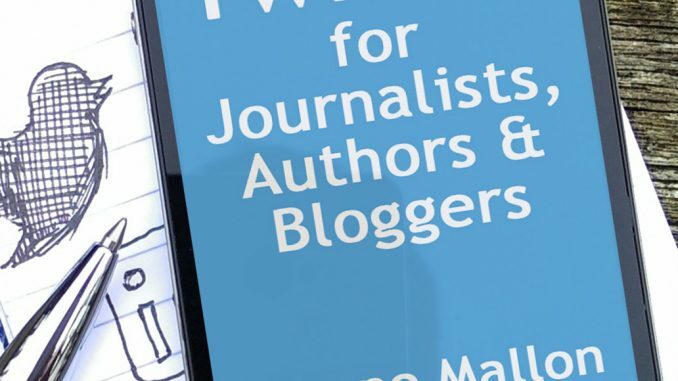 When I was working on my new Twitter for writers book I was also taking my Social Media for Writers Twitter account from 0 to 10,000 followers in under a year. That was an interesting journey which brought me into contact with some great and not so great behaviour by writers on Twitter. Luckily none of these crimes will earn you jail time. Mistakes are good. Mistakes are human. Every day you’re learning is another day alive. So it’s not that big a deal, but if you plead guilty to any of these then think again, because you could be putting people off more than you’re drawing them in. Thankfully these are dying out, but some are still committing this crime, especially users of the Crowdfire app. Seriously, don’t send auto DMs. People hate them, and they WILL unfollow you if you send them. No, they won’t visit your Facebook or Amazon page; they’ll just unfollow you. Like, how did you think that was going to work? Be generous in following other people. Give what you want to receive. Like Gandhi, be the change that you wish to see in the world. Don’t become one of those authors who’s constantly on trumpet mode, parping loudly about your latest release. Nobody is going to buy your book if you do that. Imagine you were doing that in the street – what do you think the reaction would be? Would people be running up to you with open arms, asking where they can order five copies? Um…no. Instead, concentrate on connecting with people in a meaningful way that’s not all about you. This crime is usually committed by writers on Twitter who don’t visit it very often, or they don’t know where the @ section is, or they get so many @ messages that they can’t possibly reply to them all. For the first two you can solve this by ticking the setting that sends you an email when you receive an @ mention. For the latter, unless you’re JK Rowling then simply put a bit more effort in. Ultimately, this is a party you’ve signed up to in order to meet new people. And you wouldn’t go to a party and sit in the corner with your head in a cardboard box would you? (Actually that sounds quite tempting, but then I don’t much like parties). Since you are on Twitter to support your work, you need to let people into your world a little more easily for that to happen. This is a tactic used to artificially inflate number of follows, but it’s also kind of meaningless because it’s all about the stats and not about the human beings. Also it ticks people off because it’s just so robotic and inauthentic. Be authentic and act from your heart and soul rather than what a program tells you to do and you’ll have more fun, trust me. I have a lot of sympathy with this one because what writer doesn’t feel all warm and squirmy inside when they get a good review? The problem is that these tweets are super-tedious to read for anyone who isn’t you. You can get away with this occasionally, such as on publication day, but aim to keep it to a minimum most of the time. Again, be generous. It doesn’t cost you anything. By lifting up others you will also raise yourself. It takes a while, y’know? Like any new job or school or torture dungeon, the first day won’t be the best one and it takes a while to figure stuff out. Give it time. Be patient. Stick around and talk to people. Ask questions. If you have both arms open to embrace then you will receive much more than if you just have one hand out to take. 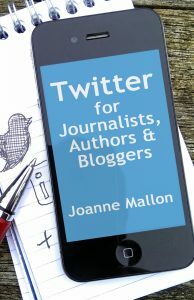 Twitter for Journalists, Authors and Bloggers is out now on Kindle via Amazon UK and Amazon USA. Also there’s Social Media for Writers if you’re more of a paperback kind of person.